At J&J Fence, we are proud to be entrusted by San Pedro's residents to build and install fences, gates, window bars and railings for their homes and business. We specialize in custom fabrications and installations to accommodate the varied needs and expectations of general contractors, property managers, homeowner associations, commercial property owners and homeowners. We have severed the San Pedro community since 1978, and everyone on our team has 15 years of experience on average working in the fence industry. When you call J&J Fence for your free consultation and price quote, you know you are working with fence professionals. We are a family-owned and -operated business whose passion is creating beautiful fences. We never use subcontractors and closely supervise every aspect of our projects. 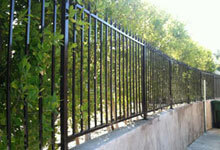 In addition to fabricating lovely fences of iron, wood, vinyl, steel and aluminum, we offer incredible prices. During your cost estimate consultation at your San Pedro site, we will evaluate your landscape, take all the measurements needed for an accurate assessment, and discuss your project's goals and budget. We will give you expert planning advise to help you achieve the functionality and look you want in your fence, as well as a variety of options to keep your project within budget. 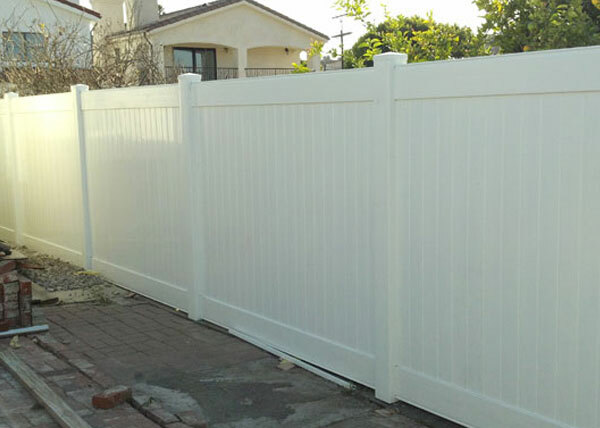 We have earned our place as one of the leading fence providers serving the San Pedro area. 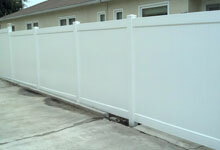 When its residents want to buy a new wood, vinyl, chain link, aluminum, iron or steel fence they call J&J Fence. We encourage everyone who takes advantage of our free on-site, no-obligation consultation and cost estimate to obtain at least two other quotes from other local area fence contractors for comparison. We are confident that our service, rates, knowledge and professionalism will be head and shoulders above any of our competitors. Our expertise is in custom fences, so you know that we will be dedicated to building a fence that will be unique to you and your needs. To fully benefit from J&J Fence's expertise, you want to not only have us design and fabricate your fence, but install it too. Don't risk using a general contractor who doesn't have the industry-specific proficiency we do. We know how to handle any kind of landscape, including varied gradients and different types of land, such as soil, rock and concrete. We will use only long-lasting, durable hardware, and trusted gate operator and access control systems, such as Chamberlain, Viking Access, Elite Gates, DoorKing, Linear, All-O-Matic and LiftMaster, to name a few. If you have a fence that is falling apart, needs new chain link or requires a new gate, call J&J Fence. We respond quickly and complete jobs on time. Our skilled team can replace or upgrade your existing fence, or repair or replace just a small section or the gate. We specialize in wrought iron, security iron, ornamental iron, wood, vinyl, aluminum, cinder block and steel fencing materials. As such, we can match almost any fence or provide creative solutions to upgrade your old fence. 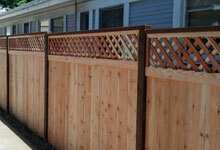 We serve the commercial and residential fence needs of San Pedro residents. By taking a glance at our gallery, you can quickly see the quality of our work. With our free on-site cost estimate, you can get an even clearer idea of what we can do for you. Call today to schedule an appointment. New customers receive a 10% discount!